This is the fifth in a series of articles on overcoming discouragement. It can be hard to dig ourselves out of the hole we’ve dug for ourselves with discouragement and despondency, and to identify with our pure potential or Buddha nature; and this can be where enlightened beings come in very handy! So you can try this if you like – maybe just do it and worry about how or if it works later. We ask for help from enlightened beings, and then believe we’re receiving it. (Helping us is the main part of their job description.) Seeking help has worked for generation after generation of greatly realized Yogis and masters, as well as beginners, and so it is highly likely to work for us. The scriptures describe the most seemingly desperate lost causes (I’m betting far worse than you), who went on to attain high spiritual realizations by relying upon blessings – Lam Chung (the “stupidest man alive” at the time) and Angulimala (the “angriest man alive”, who made a necklace out of a thousand severed thumbs from his murder victims). Asking for help also helped Kisigotami (who was overwhelmed by grief when she lost her newborn child) and Gampopa (who lost his beloved wife), both of whom went on to become powerful, happy practitioners. And this is just the tip of the iceberg — countless people past and present have gained peace and mental freedom this way. I like to meditate backwards – starting with where I intend to end up, ie, enlightened, and then sort of working my way back to the beginning. I start my day by tapping into an infinite source of power, confidence, freedom, bliss, and love. The following is an example of the kind of thing I do. This is the mind to meditate with, not an agitated, uptight mind. Sometimes the mere act of examining the mind, if it is done conscientiously, will pacify our distractions. Even just turning into the mind (without doing breathing meditation) helps us experience its essentially peaceful nature because we are not following the distractions. Turning to the sky instead of the clouds, as it were. I like tuning into a peaceful mind in other ways, for example as explained in this article I wrote for a friend. This peace, however slight or relative, is part of my Buddha nature–an indication of the limitless peace I am capable of, my enlightened potential. As such, I can already recognize it as part of Buddha’s own enlightened mind, the same nature, and in this way tap straight into blessings. I can identify with it by thinking, “This is me, and I’m only mistaken appearances away from being a Buddha.” Nothing exists from its own side, everything is like a dream, so I dissolve all unpleasant thoughts and their objects, including the sense of a limited self, including the past and the future, away into emptiness. Why not? I don’t have to hold onto this stuff, it is not even there. Bodhisattvas and trainee Bodhisattvas never meditate alone. Even when they’re in a remote cave in the middle of nowhere developing the perfect single-pointed concentration of tranquil abiding, they imagine being surrounded by all living beings. Your family, friends, pet parrot, etc, can be sitting closest to you, but there is nobody left out. We can forget about ourselves for a while by feeling close to others out of love (start where you’re at) – this already dissipates the laziness and stuck feeling caused by over-preoccupation with ourselves. Then I think that Buddha is in front of me. He is not over there somewhere, but arising from my own pure mind mixed with Buddha’s blessings, and surrounded by any number of enlightened beings. (Actually, Buddhas are everywhere, so we can visualize them wherever we want to. We can visualize whichever holy being we feel closest to already, including in other traditions.) I feel close to them out of faith wishing to be like them — with a mind like a universal sun radiating love through all beings and a piercing wisdom that penetrates all objects of knowledge, for example. I feel their blessings flowing into me and mixing with my mind – if you like, you can imagine the blessings in the form of blissful lights. (If you happened to attend the Kadampa Brazilian Festival in 2010, you might remember that beautiful visualization Geshe Kelsang taught on receiving the four empowerments from Je Tsongkhapa – it works for me.) Whatever works. I haven’t even started my meditation yet! Yet already my mind is lighter, more optimistic, and more blessed. And it doesn’t have to take all that long, maybe a few minutes, depending on how much time I have or how much I’m enjoying myself already. And I think, “I am not limited or fixed – other possibilities exist.” So we can identify our own faults, being as specific and practical as possible, eg, feeling useless, angry, helplessly attached, prideful, or stuck, but not identify with them. They are not objective facts, just thoughts or labels. We don’t need to go with them — we don’t believe everything we think, as the saying goes. Imagine, just imagine, that you are where you’d like to be right now – fearless, unstuck, enjoying everything and everyone, not full of the need of attachment but complete in yourself, kind, loving, blissful, free. If you know about Tantric practice, dissolve everything into bliss and emptiness and generate yourself anew as your personal Deity in your Pure Land, with everyone around you as pure. Suspend any disbelief, do some method acting – if Daniel Day Lewis can be Lincoln or your neighbor’s kid believe she is Wonder Woman, you can be a Buddha or Bodhisattva! And enjoy it. Unlike ever becoming Wonder Woman, generating ourselves as a Buddha actually has its basis in truth, for we are never separated from our potential to be a Bodhisattva and a Buddha. It is so-called “correct imagination”. It is reality. Tantric thinking can be done by anyone. We possess great imaginations, and indeed our whole world lacks existence from its own side and arises from imagination; so we can harness this creativity now for the good, change our dream, while we still have the opportunity to control the direction of our life. One major cause of the laziness of discouragement is “There’s nobody who has made it, I can’t see any examples, so how am I supposed to make it? !” We project our own lack of progress onto others. When we lift our sights in the way described, we naturally become more confident that there are people with these results all around us – everything is a reflection of our minds. People are no more inherently limited or suffering than we are. Look for faults and we’ll find them. Look for loveability and potential and we’ll find that. This applies to us and everyone around us. If I’m doing prayers and I’m on my own, I confess that I might do them once I’ve done all this – then they’re really very powerful and simply an expression of what is going on. Of course, they are normally used as preliminaries to meditation, and I can do that too. To get out of the long-playing loop of negative, myopic thinking, I think we need this kind of alternate perspective. More later. Meanwhile, your feedback on how you overcome discouragement is most welcome and helpful. 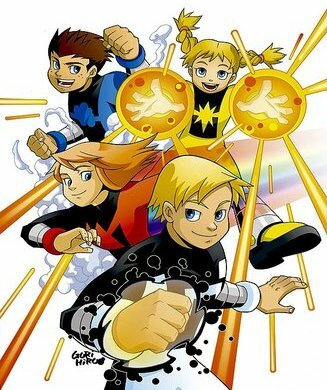 I was intrigued by the picture of the Power Pack! I can’t help feeling like a fake, like I’m just pretending though, when I try to imagine myself as a Buddha. I have written several articles about the validity of correct imagination — dig around in the Tantra articles 🙂 And search beneficial believing. (If i had more time i’d find these articles for you myself … ) Good luck. Thanks for this. On average, how much do you meditate each day? Do you do different meditations daily? Thank you Luna, inspiring and very very helpful. Thank you Luna, it feels like just for me! Thanks for this Luna, very helpful and inspiring guidance. I find myself going back to basics with meditation and some days not getting much beyond breathing or clarity of mind, but the space and peace that creates can ground me for the rest of the day and re-connects me to my spiritual guide in a very personal and direct way. The important thing is to keep returning to that peacefull space, or as you call it limitless potential, throughout the day and reconnecting when discouragement arises and that takes more training! Next Next post: Delusions be gone!